This is my favorite way to cook tuna. 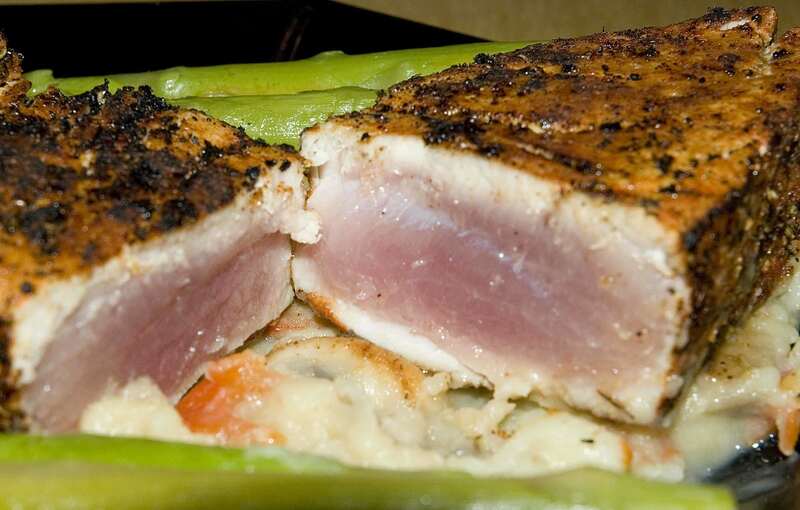 The tuna stays tender and has a wonderful spicy herb-and-smoke flavor. Combine the ingredients for the blackening spice. Spread potatoes on plate, put tuna on top, garnish with asparagus. Blackening the fish produces a lot of smoke. I strongly recommend to not attempt this without an exhaust fan. If you don't have one, you can place the fish on a grate, go outside and blacken/cook it with a soldering torch (the little kitchen torches won't work for that). 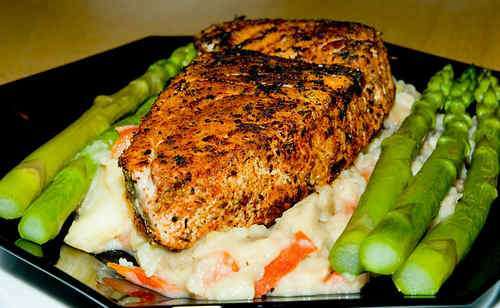 Just sweep the flame over all sides of the fish until nice and blackened. In my experience,there is just no way to reasonably prepare mashed potatoes from less than 1 lb of potatoes. You will likely have leftover vegetable mashed potatoes. I'm normally using a pressure cooker to cook the potatoes.